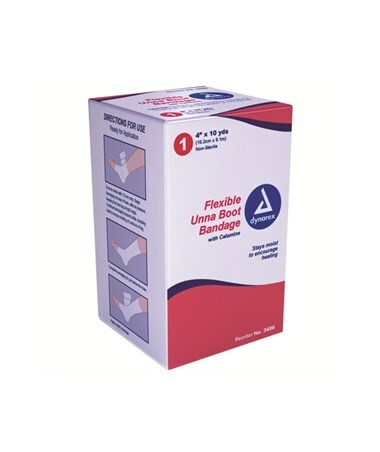 Compression bandage ideal for treating lymphatic edema, venous stasis ulcers, sprains, strains, burns, dislocations, and sores. Finished edges protects patient from further wound compromise or skin breakdown. 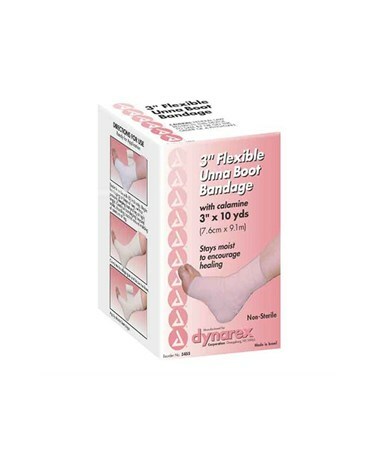 Dynarex Unna Boot Bandage with Calamine is a compression bandage aimed at treating lymphatic edema, venous stasis leg ulcers, sprains, strains, burns, dislocations, and sores. Soothing zinc oxide paste and Calamine helps ease skin irritation and enhances wound healing. 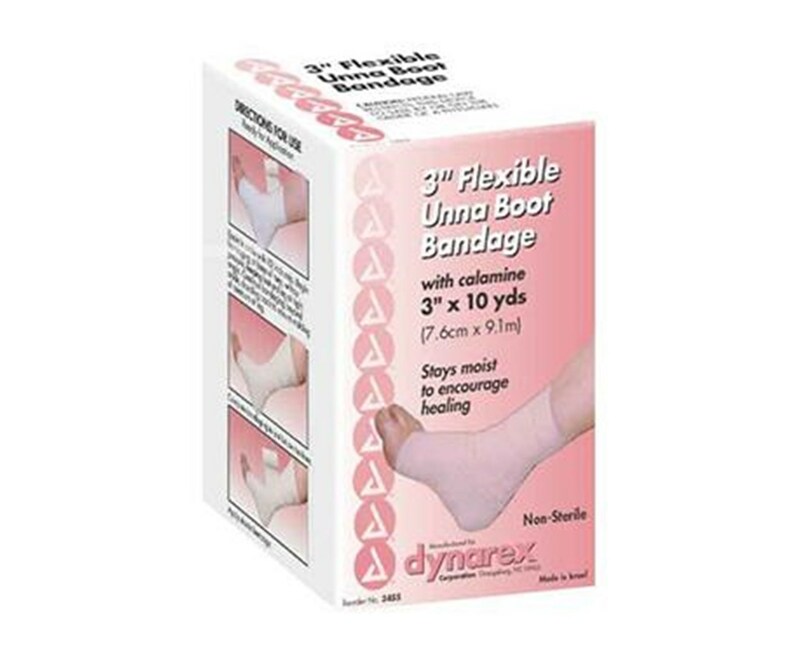 Dynarex Unna Boot Bandage with Calamine has a unique knit construction allowing for a more uniform distribution of zinc oxide paste. Fraying is decreased with the finished edge. This will protect your patient from further wound compromise or skin breakdown. Individually foil wrapped.